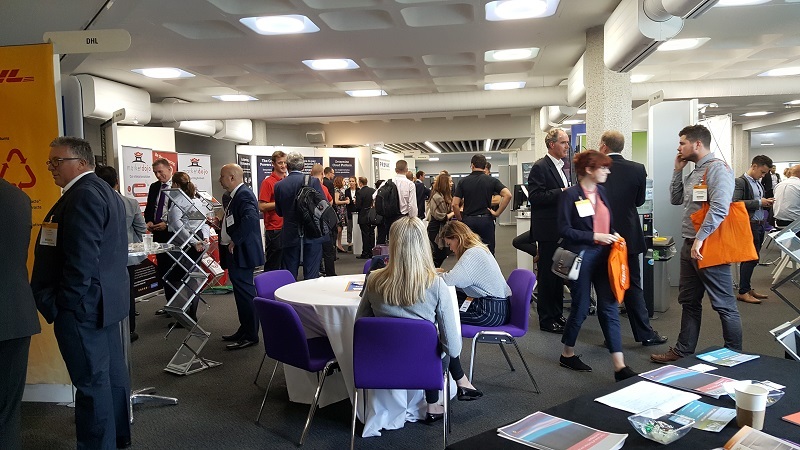 The latest edition of eWorld yesterday at the QEII centre in Westminster was very successful and lived up to the view that, in our time running Spend Matters Europe, this is the most improved procurement event in the calendar – it’s short, has varied content and is free to attend, an attractive combination. Sure, Procurement Leaders has more big company CPOs, but as a sponsor it is expensive, and does the CPO of some global FCMG giant really want to talk to you, humble but interesting solution provider with a bright idea, but not a huge user base currently? And if you are a category manager or Head of Procurement in a mid-sized firm, can you afford the pricy events? ProcureCon Europe has some really good content and its USP is excellent delegate participation in workshops and similar – but that’s pretty much a full week out of the office. There were over 600 registrations this time at eWorld, probably a record, and while far from all of those folks turned up (it would be rather crowded if they did), every session we went to ranged from pleasantly busy to standing room only jam-packed. eWorld is free to practitioners – and has a more than decent conference programme, one that if you choose carefully, can give you as much insight as you will get from a day at pretty much any other event. OK, there are some sessions that are overt sales pitches from sponsors, but that is true at any event. And when you get a “pitch” that is as well-structured, full of genuinely useful information and expertly presented as the Amazon Business session yesterday, (see picture above), then it can be more than acceptable. So, read the session descriptions carefully and you can usually determine which are going to be worth attending. But I have a confession to make. I appeared to upset the keynote speaker with my comment / question after his speech, which was not my intention. We’ll tell you more next week, but Chris White, the architect of the Social Value Act when he was an MP, seemed to think I was calling him personally naïve when I suggested that Carillion might still have gone bust, even if the firm had cared a bit more about social value. I wasn’t having a go at him, honestly, and he deserves great praise for what he has achieved. But I stick by the view that social value was very peripheral to the disasters around greed, borrowing, general incompetence and unrealistic bidding that brought down Carillion. What about other highlights? Well, our old friend David Atkinson ran one of his typically insightful workshops on supplier relationship management. And Emma Freiha from Lego, whose session we previewed a few weeks back, provided real insight when talking about capturing innovation from the supply markets. There was a bit less about Lego specifically than I expected but probably more of general value to any procurement professional. (We hope to see more from Freiha as a thought-leader in the profession for many years to come). So, more on those sessions and others next week. There were some duds – one session led a friend of mine who was present to ask whether a certain speaker “actually knew anything about the topic he was supposed to be discussing”. But the strike rate of good sessions seemed higher than ever, the average seniority level of delegates has certainly risen over the last five years, and both breakfast and lunch are free now – a response, we like to think, in some small way at least, to our fearless “free food for eWorld delegates” campaign, also known as “bacongate”, that we launched back in 2014.